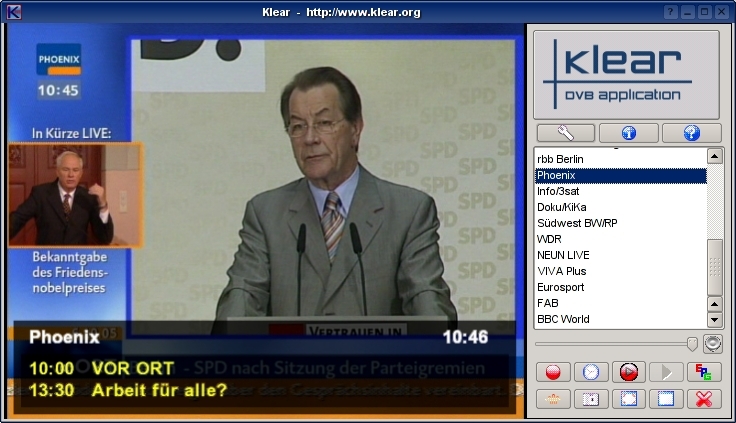 Klear is a graphical TV viewer with an integrated recording system for Linux. It's designed as a DVB desktop application with all common features. A clear, nifty and feature rich DVB viewer and recorder for your desktop machine. And it's absolutely free (GPL)!